Should I get a Kindle or treat myself to all-new Kindle Paperwhite 2018? This is the question many of you have written in to ask us, and unfortunately, there’s no clear-cut answer. All that counts is getting the best Kindle for you, though, and we’re here to help you do just that. In today’s article, we’ll give you a detailed comparison between the Basic Kindle and All-New Kindle Paperwhite then serve up our recommendation so you can see which would best suit your needs. If you haven’t yet got an e-reader, which would be the best Kindle for you overall? If you already have basic Kindle, is it worth upgrading to all-new Paperwhite 2018? How does Kindle compare to the latest Kindle Paperwhite in its new slimline, waterproof form? What are the pros and cons of basic Kindle compared to Kindle Paperwhite? These are just a few of the questions we’ll be addressing today. Amazon Kindle is indeed a dedicated e-reader that punches above its weight. The Kindle is by far the world’s most popular e-reader and Amazon invests heavily to continuously update the product with new features. Can you believe the first Kindle was released back in 2007 and was priced at $399? Today, the basic Kindle sells for less than one-third of that and is thinner, lighter, and faster than ever before. This is the beauty of a company like Amazon. Their flagship products keep getting cheaper while functionality just gets better and better. 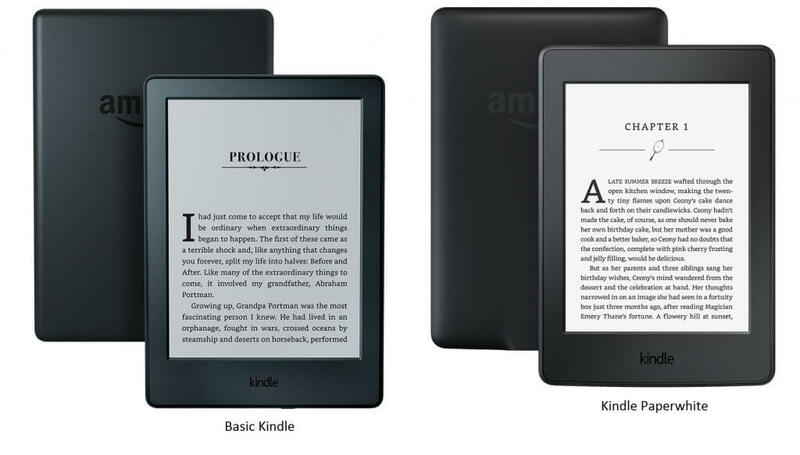 Amazon has developed a whole line of Kindle devices designed to satisfy all tastes and budgets including Paperwhite, Voyage, and Oasis. Voyage, as of October 2018, has now slipped away but in its place comes all-new Paperwhite. Now, both Oasis and Paperwhite are fully waterproof as we’ll explore in due course. We reviewed the other Kindle models here (Voyage) and here (Oasis). Take a look at our preview of all-new Kindle Paperwhite here. 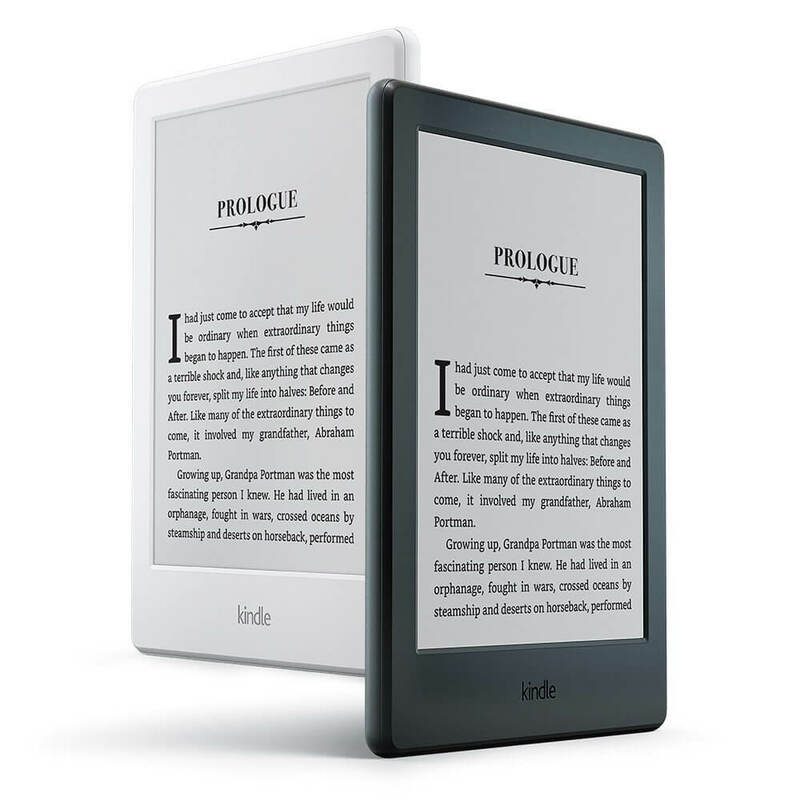 Amazon states that Kindle Paperwhite is the best selling e-reader of the entire line. They never quote specific sales figures, but that’s conclusive enough to bestow the crown of best Kindle in terms of popularity. Packed with more features than the basic Kindle but still very reasonably priced, Paperwhite is a solid choice for anyone with a reasonably fluid budget wanting a slightly more advanced experience. Entering its third generation back in 2015, the all-new Paperwhite 2018 is waterproof, lighter than ever and noticeably thinner. It’s got a streamlined, flush screen and comes Audible-enabled to make all-new Paperwhite 2018 a strong contender for the best Kindle of all time. That said, basic Kindle represents an almost unbeatable bargain giving you the core functionality you need at less than half the price. So are the features of the best Paperwhite ever worth the extra money? The decision ultimately comes down to what you need and how much you can comfortably afford to spend. There’s no right or wrong answer. Read on to see how each model addresses your pain points and see if you get a feel for one e-reader over the other. Whichever you choose, you’ll be in the safe hands of the godfather of e-readers. Dimension 6.6" x 4.6" x 0.32" 6.3" x 4.5" x 0.36"
As you can see, the biggest difference between Paperwhite and the basic Kindle is the resolution and the built-in 5-LED lights as well as free Wi-Fi connectivity allowing you to use your Kindle in over 100 countries free of charge. Not to mention the fact all-new Paperwhite 2018 is IPX8-rated meaning it’s fully waterproof. We feel Kindle Paperwhite provides a significant upgrade for those who read on a regular basis and for prolonged periods. This is especially important in conditions such as bright sunlight (like when you’re reading on the beach) or on a plane (like when that guy opens his sunshade and a flood of light comes in). It’s also handy when it’s dark (like when you are in bed and your partner wants to sleep while you read). Thinking of the beach, while all-new Paperwhite 2018 is now waterproof so if you’re on holiday by the pool, or you simply want to relax in a long, hot bubble bath, you can now read in comfort without worrying about a few drops of water on your screen. Kindle Paperwhite reads just like paper but has the added benefit of not hurting your eyes when it’s dark. Basic Kindle doesn’t have a backlight, and we found it rather difficult to read at night during our testing. If you want the flexibility of being able to read in different conditions and at all times of the day, go for all-new Paperwhite 2018. If, on the other hand, you’re a casual reader planning the occasional few pages during the day, we’d strongly suggest saving some money and opting for Basic Kindle. Regardless of which one you buy, we urge you to consider buying directly from Amazon so you get the full warranty and service Amazon is famous for the world over. What’s So Good About Basic Kindle? What Are Its Core Features? Basic Kindle is a strong choice for its diminutive size and extreme portability. Our tests also show it’s pretty durable and can easily be packaged in a suitcase or backpack without too much wear and tear. You can even pop it in your pocket without feeling weighed down since it tips the scales at less than 6-oz. For reading, it has the same 6” display as Kindle Paperwhite. It can be held with one hand and there is no meaningful glare. 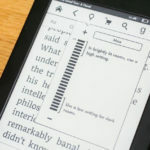 Amazon has frequently updated basic Kindle and in 2016, announced that new Kindle would have a touchscreen instead of the old 5-way physical controller. While some users have complained they preferred the physical buttons, the touchscreen is here to stay and we’re unlikely to see Amazon go back to a physical controller anytime soon. The advantage of a touchscreen is improved typing ability so you can take notes and make comments easily. The previous controller made things difficult since you had to literally click through the on-screen keyboard. Basic Kindle offers overall incredible value. It’s the cheapest version of the generous Kindle line so if you want to save some money, the product would work just fine at night with a reading light (though the lighting will be uneven across the Kindle). That said, having an external reading light puts less strain the Kindle’s battery life. Kindle is a great budget e-reader with many of the features of a more expensive device. What’s So Good About All-New Paperwhite 2018 Compared To the Basic Kindle? over the years is its display technology. With an amazing resolution of 300 pixels per inch, text appears laser-crisp and seems to pop off the page. 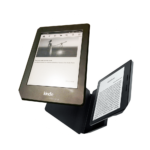 The patented built-in light is in a league of its own with 3 layers delivering a comfortable and stellar reading experience. The lighting helps achieve a perfectly balanced whiteness. In all-new waterproof form, Paperwhite 2018 now packs 5 low-power LED lights that project over the cover so you can read at night with no eye strain or outside without the menace of sun glare. The light is not uneven like a reading light so you’ll get a smoother experience. While you can customize the light with 24 different levels, you can’t actually turn it off. The light is not supposed to drain the battery life as it uses low-power LEDs. In fact, our tests show that the Paperwhite lasts for several weeks which we feel is more than enough for the majority of users. IN its recent 2018 costume, Paperwhite is thinner than ever before and now comes with a flush screen. Although you’ll still get no physical page-turn buttons, all-new Paperwhite 2018 is fully waterproofed with the IPX8 rating to prove it. Lastly, with the Paperwhite, you have the option of a 3G+Wi-Fi or a Wi-Fi only version. The basic Kindle comes with Wi-Fi connectivity only. For many people, it’s a lot more convenient to use 3G services to download books as Wi-Fi hotspots are not always available and 3G services are available in over 100 countries. Amazon provides the 3G service free of charge which means you can download and browse books on the go with ease. This is a huge advantage for the traveling reader. The price is the only thing that really puts Paperwhite on the back foot. Compared to Basic Kindle, we feel Paperwhite is perhaps slightly overpriced for adding what is essentially a better reading light and slightly better resolution display along with the ability to withstand a splash in the bath. In 2016, Amazon gave both devices touchscreen so this eliminates a significant difference between the two. Therefore, we recommend you look at your overall lifestyle and use to determine whether the Paperwhite is worth the price you pay. Both devices have superb build quality and we feel it’s highly likely either model will satisfy you depending on your requirements and expectations. Choose Kindle – If you want a basic e-reader without too many features and you want to save a few bucks. It’s a fantastic choice for the casual reader. Choose All-New Kindle Paperwhite 2018 – If you are a serious, heavy reader demanding performance in varying environments including near sources of water. You’ll love the enhanced self-illumination as well as the crisper, clearer text. If you are planning on keeping it for the long haul, the price difference is not such a big deal. Amazon regularly offers discounts and promotions with the Kindle. Tempered Glass Protector – Prevent your screen from scratches and even from cracking with a Tempered Glass Protector. Last updated by David Richardson at October 18, 2018 . I wd like to have a comparision between the Kindle Paperwhite and the Kindle. This is only the technology. 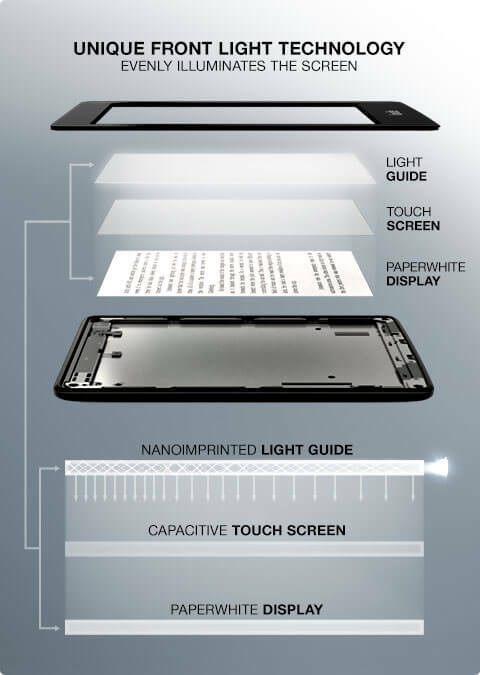 Paper white have inbuilt back light and kindle touch don’t. Apart from this the only difference is the price. Paper white is just double. Frankly when you are in dark and try reading paper white it will actually effect your sight. 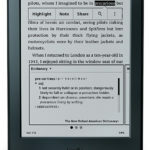 So always go for simple kindle touch.. New technology paper white is still under experimental stage. Trust me, you wont regret buying simple kindle. Go for it. I have 1000 of PDF and now they are in my kindle. Web browser is also good enough for simple browsing. Hi shashank. Could u pls tell me, if the basic kindle is readable enough under a dim CFL bulb. My physical books are readablenunder this light. How much light would be required to read nasic kindle without strain? Hi Vijay, You need normal reading-level light to read it i.e. a dim light would be challenging for the eyes. There is no screen brightness adjustment. I need a device to download textbook pdfs through my gmail without internet at my house. It’s probably too late for Ben, but if you read this comment don’t listen to Catherina!! Kindle does not read PDF and you will need to convert it to Amazon proprietary formats such as *.mobi ! I love my kindle paper white. To me he kindle doesn’t even come close to comparing. The touch screen is a fantastic feature. No confusing buttons, and the back lit screen is the absolute best and it’s still light wt compared to the fire which I gave to my daughter mainly because of the wt. I have a new Kindlepaperlight. It has disconnected my Amazon Kindle. Why can’t I have both? What can I do to get my Amazon Kindle back, I prefer it. I have a regular kindle and now for Christmas I received a paper white. When I order, how can I make sure it goes to the paper white and not my old kindle? Irene, go to Amazon and register your new Kindle. Call it something like Paper White so you can tell the difference between the two. When you buy your books you are given a choice on which device to send the books to. I think it is under the buy button. Happy reading. I want to give my old Kindle to my husband and get the Paperwhite for myself as I like to read in the dark in bed and not have the bedside light on, as it disturbs my husband and wakes the dog. Wondering if I register them both on my Amazon account then I can use both and have the same books on both? Or on my iPhone? Which I read books on if I am traveling with just a carryon bag. I need to have a kindle before I can compare the two books. Yes, Kindle Paperwhite is a good choice though more expensive because of the improved resolution and built-in light. My older kindle I could turn off the 3G to save battery power my new 3G/wireless there doesn’t seem to be a way to do this? Am I missing something? I am new to the kindle experience. Why is my paperwhite kindle not showing in colour. It only shows black and white. I want to subscribe to magazines but I am worried it will not appear in colour. What shall I do to bring colour to my kindle? You need to get a kindle fire for color. You probably figured that out by now. bTW, there is now a $49 Kindle fire. I love my basic kindle touch because hours of reading lighted screens hurts my eyes. I still do it on my tablet, but I like that I have a choice to use an unlighted screen. I also wanted something small and portable besides my phone, which is also a lighted screen. I have a paperwhite, which I love! Can you still read from it while it is charging? I wanted to know whether books could only be Bought from the amazon store, or can I download pdf files and transfer them to the kindle device? You can 🙂 its like a USB stick, just give it a go! Can anyone please tell me that in normal lighting conditions, which one is less straining to the eyes: kindle or kindle paperwhite? The Kindle doesn’t have any built in lights, so there’s no way it can strain your eyes. So the best answer to this question would be the paperwhite. I currently have a Kindle Touch, which is going on three years old and is wearing out (battery only lasts a few days as opposed to two months). Anyway, I purchased a Kindle Paperwhite on sale ($99), which was about the same I paid for my Kindle Touch. Just thought I’d throw that out there. Hi would the regular kindle screen be ok to read outdoors in bright sunlight ? Yes, all kindle readers uses E-Ink screen and ideal to read in sunlight. I got my Kindle Paperwhite for $19.00 on a lightning deal on Amazon. I’m really happy with it. I can buy books on Amazon directly as well as upload any documents directly to it. I love the backlight giving it real paper white effects. I can control the brightness to suit me. I do not own a kindle but do own a Kindle Fire & a Fire Phone. You can manage your ebooks online where/which device it is to be delivered. Can I read personal pdf files using kindle? Can I copy those to kindle from my PC? or only downloaded files can be read? I could do that on a third gen kindle keyboard so I am pretty sure you could do it on a more modern keyboard. Websurfing on a basic kindle is possible but not the best. It’s really for reading books. The kindle paperwhite is the best for your eyes, its the closest thing you can get to reading real paper in digital format. The backlight can be adjusted in any lighting condition pretty easily (by pressing the light icon in the menu) so that its perfected backlit for any occasion. Exactly my toughts! I went in to buy Paperwhite but ultimately felt that what it offered as compared to the ‘regular’ Kindle does not justify the price. I would definitely have bought Paperwhite , even if it came with a slightly larger screen. Have you updated the software recently? If you have a pre-2013 model and havnt updated to the latest software, the amazon made your books inaccessible. You would need to manually update your kindle by connecting it to your computer. Michael, thank you so much for this insightful article. I am a college student with little/next-to-none extra money to spend. I was sweating over whether I should invest in a Paperwhite or go with the less expensive Kindle. I think I will be able to make my decision with much more clarity now. Again, thanks for this candid comparison of the Kindle vs Kindle Paperwhite! Im glad that we could help, please dont hesitate to ask any further questions you might have. WHAT SHALL BE THE READING TIME EACH DAY TO GET THE BATTERY BACKUP FOR 8 HOURS AS GIVEN? I am a senior citizen, heart patient and diabetic. I am interested in reading Ancient and Modern Indian History, World History. South Indian- Mangalorean Veg and Non Veg, and breakfast Food, Vastu, Numerology, Bhagwatgeeta, Upanishads, Vedas, Chanakya’s Arthashastra, and all Vedic literature. Is it possible to get all the books referred above in built for me in the Kindle? Does it only come in a 6″ size? That’s all I saw. Hi. Yes. Only 6 inch. I am in desperate need of knowing if Kindle Paperwhite allows reading Arabic fonts and has the capability to read from right to left? I want to buy one but it would break my heart if I could not read the Quran on it. I would get one and confusing between Kindle vs Paperwhite. The Paperwhite does not come with ‘free 3G’ – it is an extra £60 (£169.99) if you opt for 3G. My kindle paper white will not now download a book from the library with my WiFi on. Is Kindle Oasis Really Better Than All-New Paperwhite 2018?